Seven years of storyboarding and several research trips to Spain later, Academy-Award nominated director Carlos Saldanha and Blue Sky Studio teamed up to bring an authentic retelling of a 1936 classic movie to audiences around the world. Saldanha's new animated film "Ferdinand", based on "The Story of Ferdinand", conveys a layered and profound message about non-conformity, acceptance and love. “With the amount of people in the cast, with the expansion of characters in the universe, with the story being so timeless, I think people will see it and enjoy it,” said actor John Cena, who voices Ferdinand, the peace-loving bull who attempts to avoid a life of bullfighting. Saldanha, who directed "Ice Age" and "Rio," is known for pairing detailed animations with heartfelt storytelling. Based on the best-selling book by Munro Leaf, “The Story of Ferdinand”, the film tells the tale of a strong yet gentle bull who prefers flowers to fighting. In a series of unfortunate events, he ends up in a bull training camp preparing for the fight of his life against the top matador in Spain, El Primero, voiced by acclaimed Spanish actor Miguel Ángel Silvestre of the hit Spanish show "Velvet," who also had a role in the second season of "Narcos." 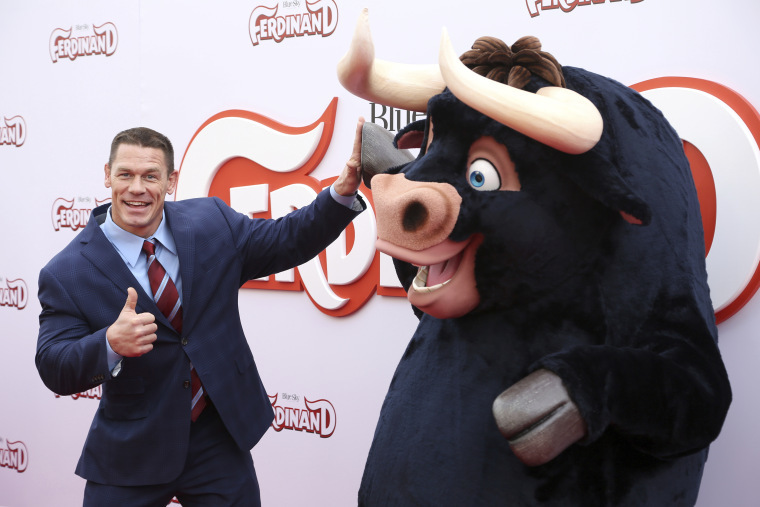 Cena said throughout the production the best advice he received from Saldanha was to “be yourself" saying "that's the story of “Ferdinand." The film opens in theaters nationwide on December 15, 2017.